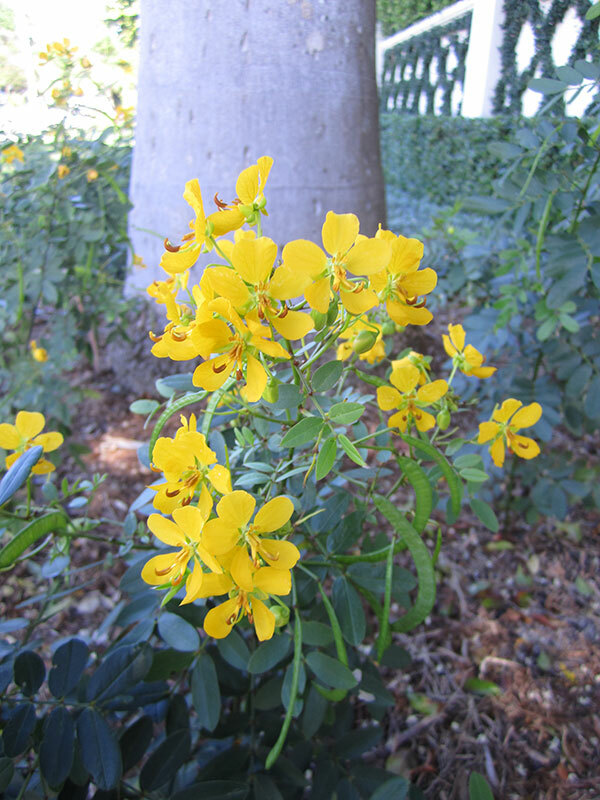 Attractive blooms of yellow and interesting, soft foliage. Plant is the larval host for 3 different species of butterflies. Like areas of good sun and can handle periods of drought. This is an extremely interesting, easy care plant. 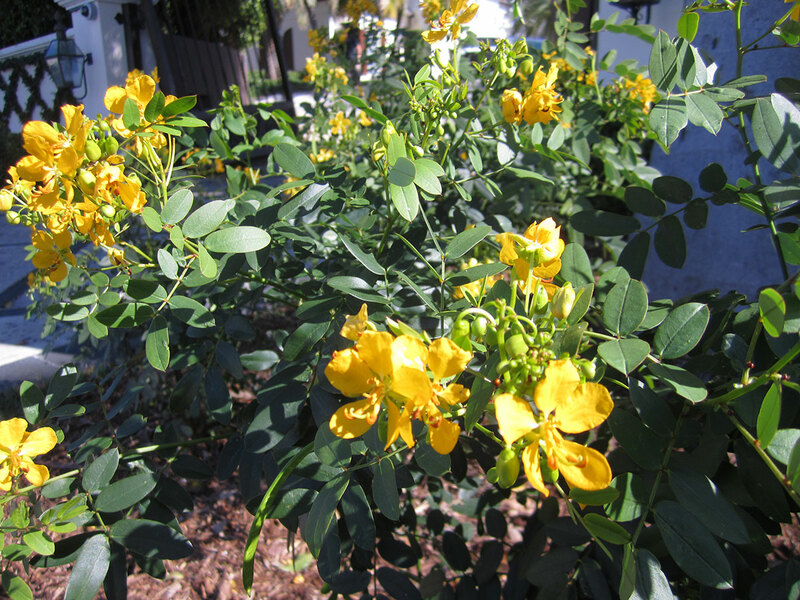 I recommend using Senna Mexicana as a specimen plant. You can plant individually or in a clump of 2 or 3 to make a robust look and draw in more attention.